The “ Geranium City” of McDonough, which has been named both a National Main Street City and a City of Character, is conveniently located in the heart of Henry County, 25 miles south of the metropolitan city of Atlanta and a handy 20 minutes distance away from Hartsfield-Jackson International Airport. McDonough is ideal for families, students, professionals and retirees alike, offering a wide variety of services catering to residents from all walks of life. Our mild weather, affordable cost of living, low crime rates, high-ranked schools, city amenities and numerous recreational opportunities make McDonough a perfect place to live, work, shop, study and play. McDonough and its adjacent communities (Locust Grove, Hampton, Stockbridge and Ola) offer residents the picturesque charm and strong community spirit of a small southern town, while keeping pace with modern technology, career opportunity and academic training for the future generation of residents. Named in honor of naval officer Commodore Thomas MacDonough, the city was founded in 1823 and its design was centered on the traditional town square grid design, which is maintained to this day, allowing our citizens to connect with their community history in their present day activities. Originally a relay station on the New York-New Orleans stagecoach line, McDonough has evolved and developed into a community of endless activity and opportunity. The historic town square is the hub of our thriving business district, home to some of the most interesting shops, boutiques, bookstores, antiques galleries, coffeehouses and fine dining destinations in Georgia. Our scenic city is a center for activities, sports, culture, community and the arts. Our natural beauty awaits your exploration in the nature preserves and animal sanctuaries of our park systems, which offer several dedicated sports complexes, designated sport areas, picnics, playgrounds and public-use facilities for residents and visitors to spend their leisure time enjoying. Dogwood Plantation Hunting Preserve, Hazard County Skate Park and the Henry County Soccer Complex are local favorites for sportsmen and sports enthusiasts alike. Fun Bowl of Henry County is a local attraction for family fun, and ours is a community that believes firmly in the ties that bind: Haunted History and cemetery tours, community gardens, the McDonough summer concert series, monthly farmer’s markets, “Art in the Park” and scheduled community events, such as McDonough “Ladies Night Out” and free bingo keep McDonough neighbors connected to each other and their community, building bridges to the cities future together. Annual events, such as the Henry County Fair, Hands on Henry, Arti Gras, Geranium Festival, AABC Roberto Clemente World Series and Taste of Henry are local favorites that are not to be missed. McDonough families are drawn to the highly ranked Henry County School District, whose schools have ranked as Georgia Schools of Excellence and National Schools of Excellence; locally, Mercer University provides higher educational opportunity, as well as the numerous colleges and universities of the nearby metropolitan Atlanta area. McDonough is a community that appreciates and upholds small-town values while benefiting from big-city efficiencies and a more cosmopolitan world view. Henry County invites you to discover why “what happens in McDonough stays in the heart”! Fayette County’s City of Fayetteville is conveniently located 22 miles from the metropolitan city of Atlanta and a handy 15 minutes distance away from Hartsfield-Jackson International Airport. Fayetteville prides itself on being a welcoming, progressive community maintaining a high-quality of life for its residents, committed to its vision of a “community where citizens and businesses grow and succeed together.” Ranked in Forbes Top 10 Suburbs for Retirement, the community is not only ideal for retirees, but also for families, students and young professionals from all walks of life, offering a wide variety of services, mild weather, an affordable cost of living, low crime rate, highly-ranked schools, city amenities and numerous recreational opportunities to enjoy while living, working and playing here. Fayetteville was founded in 1821 and historically, both Fayetteville and Fayette County are named for Marquis De Lafayette, a French nobleman who aided Washington during the Revolutionary War. Fayette County Courthouse, built in 1825, is the oldest surviving courthouse in Georgia. In 1864, Fayetteville was occupied by Union forces, recovering and prospering during the reconstruction years following. In 1888, the railways arrived in Fayetteville, bringing growth, commerce, new jobs and residents to the city. Fayetteville is the a perfect place to live, work, shop, study and play, offering residents the picturesque charm and strong community spirit of a small southern town, while keeping pace with modern technology, career opportunity and academic training for the future generation of residents. Our scenic city is a center for activities, sports, culture, community and the arts. Our natural beauty awaits your exploration in the nature preserves and animal sanctuaries of our park systems, which offer several dedicated sports complexes, designated sport areas, picnics, playgrounds and public-use facilities for residents and visitors to spend their leisure time enjoying. Local attractions include the historic Holliday-Dorsey-Fife House, outdoor shopping center The Pavilion, the Villages Amphitheater, Margaret Mitchell Library and Dixieland Fun Park. The Fayetteville community firmly believes in the ties that bind: Fayette Market Days, and scheduled community events, such as Lunch on the Lawn, Movies on the Lawn and the Chili Fest keep neighbors connected to each other and their community. Serving real estate needs for McDonough GA real estate, and surrounding areas including Fayetteville GA real estate and more! I welcome the opportunity to assist with your move. My proven home selling program can assist in the marketing of your home, finding the right buyer, and closing the sale with the lowest level of stress. My years of experience combined with up to date technology, allows me to attract buyers within or outside the McDonough Georgia area. Whether you are relocating from across town or across the country, I can provide the local knowledge and superior service needed to make your home buying move as smooth as possible. Buyers, check out my latest listings and use my free home search feature to find other area homes for sale! Sellers, get a free market analysis, and use my free home search feature to find comparable homes for sale in this beautiful area! My real estate family takes great pride in receiving many referrals from thousands of satisfied buyers and sellers who have become good friends in the process. Need expert advice? You can contact me for one-on-one expert help and advice anytime. That's my job. Contact me with confidence! I guarantee your privacy will be respected. And I offer the services on this site for free and without obligation. Why? I want to be YOUR REALTOR® for life. As your trusted professional Real Estate partner, I will help you find the best properties in your area within your price range. Together we will sell your home or find you the home of your dreams at the best possible price, terms, and conditions as quickly as possible. Buying and selling a home is one of the biggest events in your life. As a top REALTOR®, I have the experience and track record you are looking for. Register For New Listings emailed daily by using the My Home Tracker function. You will find a wealth of useful real estate information for home buyers and sellers at my website! Before you sell or buy a home, view the local market information found on this website. My real estate web site is designed to provide you with the latest market information and current home listings for sale. My website features a free real estate search that will allow you to search for home listings. Find information on buying or selling your next home. Let an expert REALTOR® help you through the real estate buying or selling process. This is a great area to live! Whether you have an area in mind or are looking for some suggestions, contact me today and we can discuss any question you might have about McDonough or any of the surrounding cities! If you're thinking of selling your home, the first thing you should ask is "How much is my home worth?" Being educated on local market trends gives you the best chances of selling your home quickly and for the best price possible. Click on "Free Market Analysis" to request a free Comparative Market Analysis (C.M.A.) of your home. Remember, I also take advantage of the latest technologies to make sure your property has a strong presence on the Internet. For example, if someone is looking for real estate in McDonough GA, or a REALTOR®, they have a much higher chance of finding this site, and YOUR listing. Contact me today and I will be happy to give you more information about my services to sellers. Let us find you the perfect home! I specialize in a variety of properties including: residential properties and much more! You can find it all on my website. In fact, make your home search easier and become a VIP Buyer. Get immediate information on ALL new listings that match your criteria emailed. Use the "My Home Tracker" now! As always, if you have any questions about the real estate market, or finding that perfect home, please let me know! Finding the right financial solution for your real estate transaction can be confusing. It's important for you to know the facts about your mortgage before you buy a house. Making sure that you know how much you can afford and the best rates for your purchase can save you more than money, it can save you time and stress! Read the "Articles" on this site to learn more. Make sure you click on "Pre-Qualify Now" to take the first step to financing your home purchase. 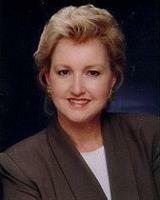 Thank you for visiting http://jansprayberry.com - your McDonough Georgia Real Estate Information Source! I strive to provide the highest quality of service to all my clients while making each transaction as profitable, professional, successful and stress-free as possible. We understand the importance of professional ethics, integrity and continued education. Call or email me today for information on your next real estate transaction. This is a one-stop real estate website for all your home buying and selling needs in Mcdonough, GA.